To make it easy for a driver to signal his intention of turning, a new warning device is controlled from buttons mounted beneath the steering wheel and within convenient reach of the fingertips. Pressing the left-hand button illuminates arrows pointing to the left on front and rear fenders of that side. The right-hand button lights up arrows on the right fenders pointing in the opposite direction. This is the same setup (pushing left button for left and right button for right) that BMW motorcycles still use . . . . I wonder how long it will take to catch on in Pittsburgh. Ah, the turn signal! Required equipment on all American automobiles… yet its use boggles many Honolulu drivers. (1) “The Boy Mechanic” volumes from none other than Popular Mechanics circa 1919 (!). 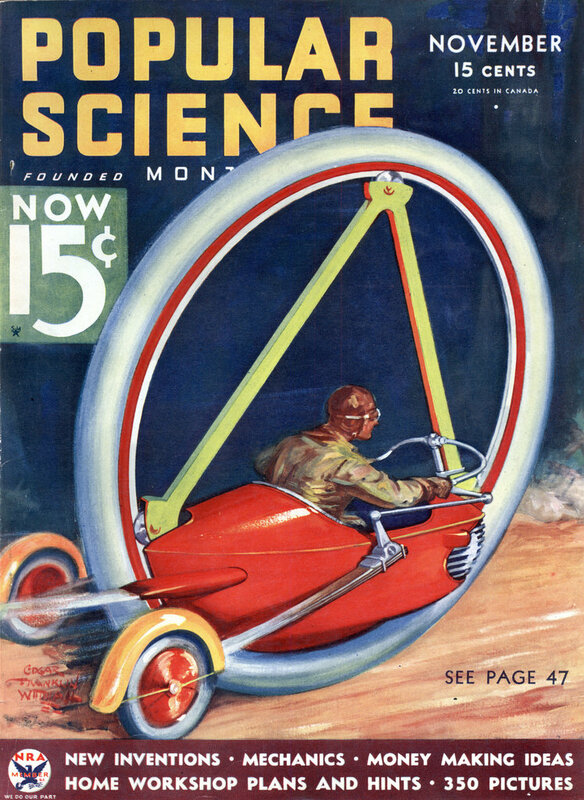 Much of this is in fact the agricultural era of the 50s-70s “Hotrod Car” modifications, but involve things like building hang gliders for your kids too, I kid you not. Being a modern chemist, some of their “drug store available” chemicals like aqua regia (nitric acid? ), “lime”, and mercury are no longer, alas available at drug stores. (2) Shop Notes in about 30 volumes (minus a Great Depression year volume! ), is mostly metalâ€“working, but also all those little hints that they used as filler in Pop. Mechanics for so many years, like how to store umbrellas at parties, more often than not, from Brooklyn, NY (they didn’t call it the “Manhattan Project” for nothing…the entire aerospace and nuclear industry got it’s start on Long Island of which Brooklyn is a former industrial portion of, due to the fact that it’s next to the river, so barges could deliver supplies). (3) And, last and not only not least, but the best of all, is a true tome in 3 volumes (then the OCD author died) that includes all the “high tech” of the original Industrial Revolution: ‘The American Mechanical Dictionary’ by Edward H. Knight. The volumes are inconveniently thick, unlike those of (1) and (2), as in 2.5320 inches instead of 1.6835 inches.0.6150 inches, respectively. This last one though has the best engravings, as in two-page spreads of hand-made copper plate engravings!